Getting Heard exists to support disadvantaged adults, ensuring their needs are expressed and their voices heard, empowering them to have their rights, views and wishes taken into account in important decisions that affect their lives. To promote awareness of and understanding of advocacy practice. To develop advocacy services in order to address disadvantage experienced by people who need advocacy support and help. To provide an advocacy service in order to address disadvantage experienced by people who need advocacy support and help. To assist individuals and groups in empowerment, inclusion and protection of rights though representation of their views. To provide support for providers of advocacy. To develop and provide coordinated training and education on advocacy and on issues relevant to advocacy. To promote the recruitment of volunteers interested in becoming advocates. To develop and promote good practice standards for advocacy. Getting Heard (originally known as Oxfordshire Advocacy Development Group) came into being in 1989 following a conference held with the aim of ensuring the voices of users of social services under the new Health Services and Community Care Act 1990 were heard and responded to. Initially the organisation concentrated on education and awareness and became a registered charity in 1992. Then in 1996 it established its first Community Advocacy scheme delivered by trained volunteers supported by a Coordinator. This was followed by a specialist dementia project in 2000 and a learning disability project in 2002. In 2007 the organisation began delivering its first statutory advocacy service in the form of Independent Mental Capacity Advocacy (IMCA). In 2014 Oxfordshire Advocacy as it was now known began working in partnership with seAp, a regional advocacy charity, to deliver statutory advocacy services across Oxfordshire. It also began a 3 year project in partnership with the Older People’s Advocacy Alliance (OPALL) to deliver advocacy services for older people affected by cancer. 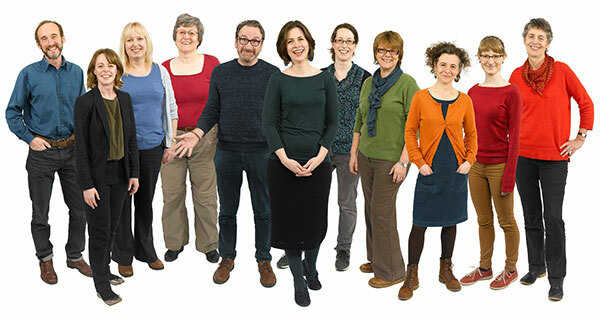 In April 2015 Oxfordshire Advocacy began delivering Independent Care Act Advocacy (ICAA) and seAp moved to join the organisation at Barton Community Association. In 2016 Oxfordshire Advocacy changed its name to Getting Heard, as part of an effort to demystify the term “advocacy” and improve service accessibility, and began delivering a 3 year advocacy services contract awarded by Oxfordshire County Council in partnership with seAp. Community Advocacy remains at the heart of what the organisation does today with over 50+ volunteer Community Advocates alongside a project dedicated to Cancer and Older People. Getting Heard is also the name of our partership with seAp to deliver advocacy in Oxfordshire. Getting Heard is a charity registered under the name of Oxfordshire Advocacy.